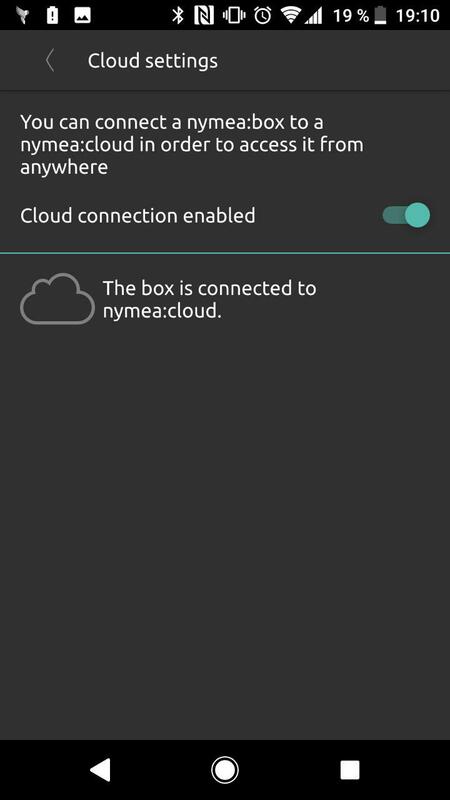 Nymea comes with a cloud setup which offers a remote connection to your nymea box and push notification support. In order to use nymea:cloud, a cloud login is required and nymea boxes must be registered in nymea:cloud. Open the App settings screen from the main menu and enter the Cloud login page from there. In this screen a new nymea:cloud login can be created or an existing one used to log in. Once logged in, go to Box settings from the main menu and select Cloud settings. In this view, enable the cloud connection for the box and register the box in nymea:cloud. As soon as the box is registered. 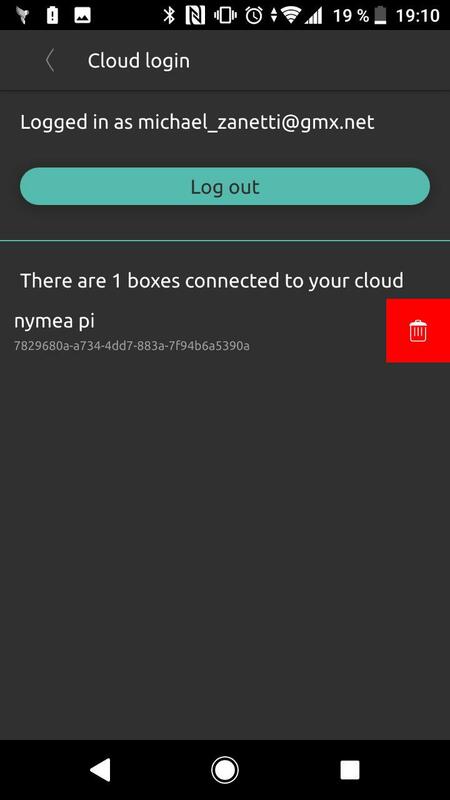 Now your nymea box can be connected from anywhere with nymea:app when logged into nymea:cloud with this user. A nymea box can be registered to multiple cloud users. 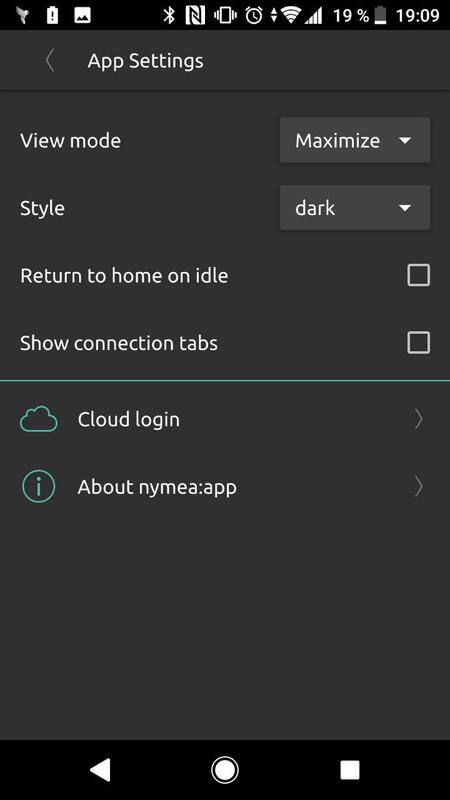 For that, just log in nymea:cloud from nymea:app and connect to a cloud enabled nymea box via local network. They will automatically be linked. To unlink a box from a user, go to the cloud login screen and remove a box by swiping the list entry and pressing the delete button.